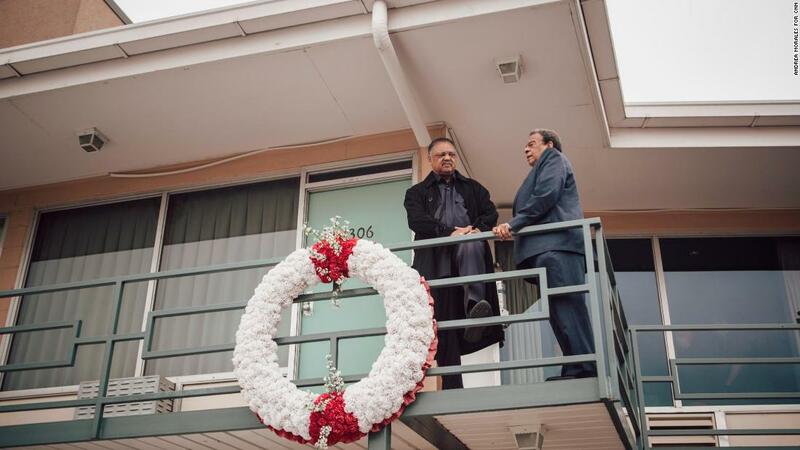 Memphis, Tennessee (CNN) The agitator and the diplomat grip the railing on the second-floor balcony of the Lorraine Motel, the spot where the Rev. Martin Luther King Jr. fell dead from an assassin’s bullet. It’s been 50 years since King’s slaying, but this marks the first time the Rev. 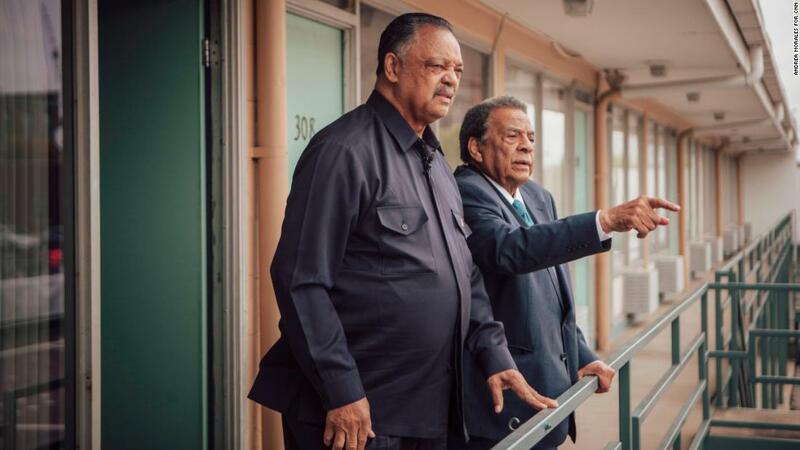 Jesse Jackson and Ambassador Andrew Young have been back to the motel together. The sole surviving members of King’s entourage that day, Jackson and Young have met CNN here to discuss their friend and teacher’s legacy, which they, in their own distinct ways, have carried on. They’re not alone. 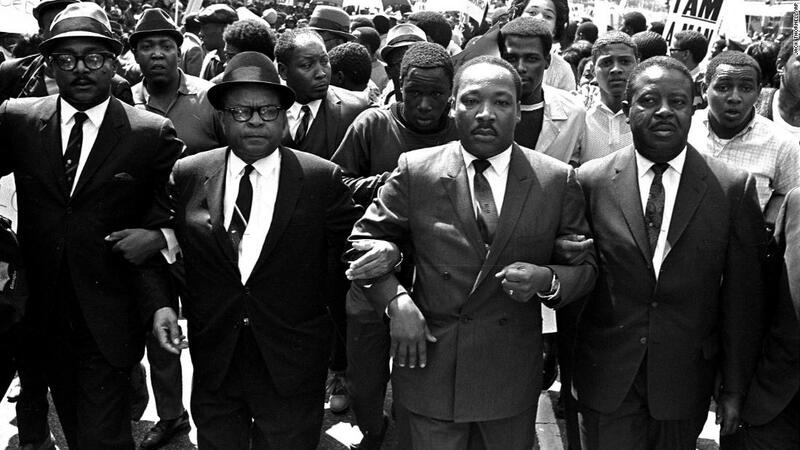 Through King’s teachings on nonviolent resistance, “he belongs to everybody,” Jackson says. History books will tell you that King was assassinated April 4, 1968, by James Earl Ray, an escaped convict who fired a single rifle shot from a flophouse bathroom window across the street. Jackson and Young can tell you much more. In the moments before the shot, King and his cohorts were goofing off and sassing each other. Catfish and chicken wings had been ordered to Room 201 downstairs, where King’s brother, A.D., was staying. Jackson and Young were both downstairs. Young had just returned from court, where a judge had given King permission to lead a sanitation workers’ march after a demonstration the week before had turned violent. King was fussing at Young, asking why he hadn’t called from court with updates. Young walked outside, where he began play-fighting with the much larger James Orange, King’s aide. Musician and activist Ben Branch, the last person to whom King spoke, was also downstairs, giving Jackson a hard time about being punctual. “… I heard the shot,” Young continues. 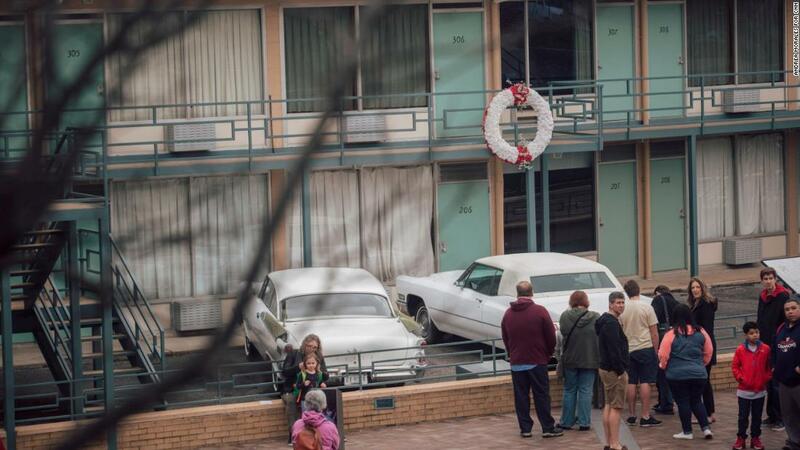 From his vantage point downstairs, all Young could see was King’s shoes poking over the edge of the balcony after the civil rights leader crumpled to the floor. Standing on the balcony decades later, Jackson and Young reminisce — pointing, laughing and hanging their heads over somber memories. They concur on the larger historical details and quibble like brothers over the minor ones: the topography, the scrub brush, who was driving what car. On occasion, Young pats the top of Jackson’s hand while correcting him. “The thought, the ideas, the pain just won’t go away,” he said during a follow-up interview in Atlanta. Jackson wishes his friend were still around to see the victories that his teachings made possible. But he concedes the 39-year-old Atlanta-born preacher may have accomplished more in death. “The resurrection of the martyr is more powerful than the marcher,” Jackson said. “Martyrs cannot be arrested. Martyrs cannot be stoned. Martyrs cannot be shot. The resurrection cannot be contained by opinions. The resurrection is a very pervasive spirit. Neither Jackson nor Young realized that at the time. As King lay on the balcony bleeding out, Young recalled only a sense of doom. “My main feeling was: Damn, you’re going to heaven and leaving us in hell. You can’t do that. Just take us with you,” he says. But sitting, 50 years later, on the clear-cut knoll beneath the former flophouse window, Young knows no bullet could snuff out King’s message. With a flit of his hand, he brushes off a question about what King would be doing today had he lived. King wasn’t scared to die, Young says. He came to terms with death in 1960, when he was arrested for a department store sit-in in DeKalb County, Georgia. In the middle of the night, police came to his cell, put him in a wagon and took him to the maximum-security Georgia State Prison in Reidsville. He spent nine days there before then-Sen. John F. Kennedy helped secure his release. This was only five years after Emmitt Till’s lynching in Mississippi, Young says. King didn’t know his fate when he was placed in the wagon with a German shepherd. Jackson was only 26 when King was killed. Young was 36. Deep in despair during the days afterward, they didn’t immediately appreciate that King had imparted in them a similar disregard for death. Freedom, he had always taught them, meant overcoming the love of wealth and the fear of dying. “You die once. If you’re a coward, you die every time you’re afraid,” Jackson remembers King saying. King sought to add levity to the notion of death among his soldiers, Young says, eliciting a chuckle of fond remembrance from Jackson. Highly educated men of the cloth like their mentor, Jackson and Young represent two sides of King. A skilled strategist, Young spent decades waging fights from within the system, much like King did in brokering deals with Presidents Kennedy and Lyndon B. Johnson. Jackson would embody King’s penchant for direct action when official paths seemed too circuitous or unlikely. Young, who turned 86 last month, won three terms in the US House of Representatives and served as US Ambassador to the UN. At the behest of King’s widow, Coretta Scott King, the New Orleans-born preacher later was elected mayor of Atlanta and helped spearhead the city’s successful 1996 Olympics bid. 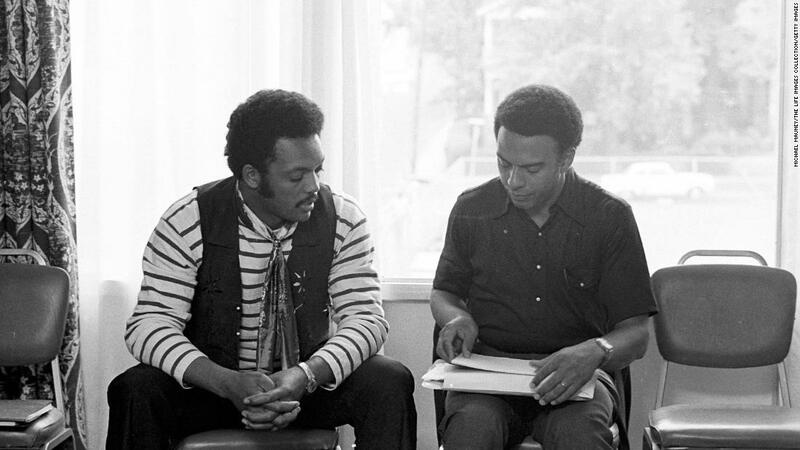 Jackson, 76, also tried his hand at politics, but became better known as one of the great street brawlers of the civil rights movement. He led boycotts and marches, and decried injustice in all its forms — from police shootings of unarmed black men to the lack of diversity at the Oscars. Like social justice warriors before him and after, he was loved and hated, and weathered many controversies. This is not to knock Jackson’s deft negotiation skills. Dozens of Americans held captive in Syria, Cuba, Gambia, Iraq and Serbia attribute their freedom to Jackson, even if multiple administrations seemed reluctant to embrace his services. In 1983, before Jackson flew to Syria to free downed pilot Lt. Robert Goodman, he was asked on whose authority he would carry out the mission. Jackson twice ran for president in the 1980s on a platform that King would’ve wholly endorsed. It included overhauling the war on drugs, nuclear disarmament, improving public education and universal healthcare — issues that still resonate today. “Every move I’ve made, whether it’s a demonstration or running for the presidency, I always felt his spirit, and in some way I touched base with him before doing it,” the father of six says. 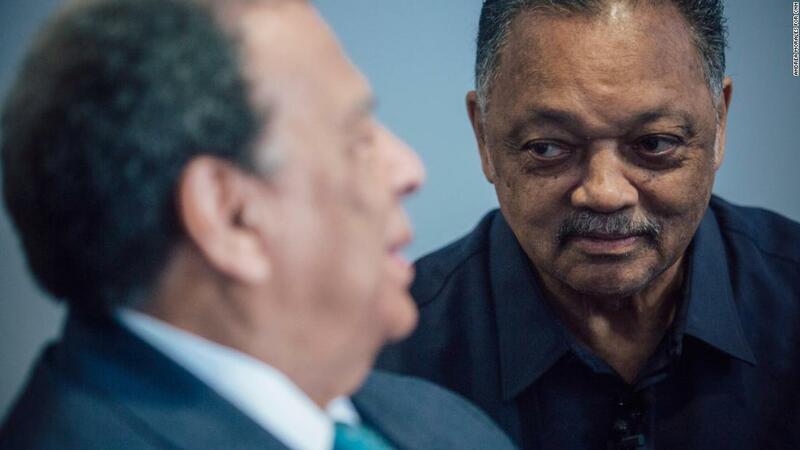 These aging lieutenants of the civil rights movement don’t get around like they used to. Decades of fighting show in their thinning gray hair and strained gaits. 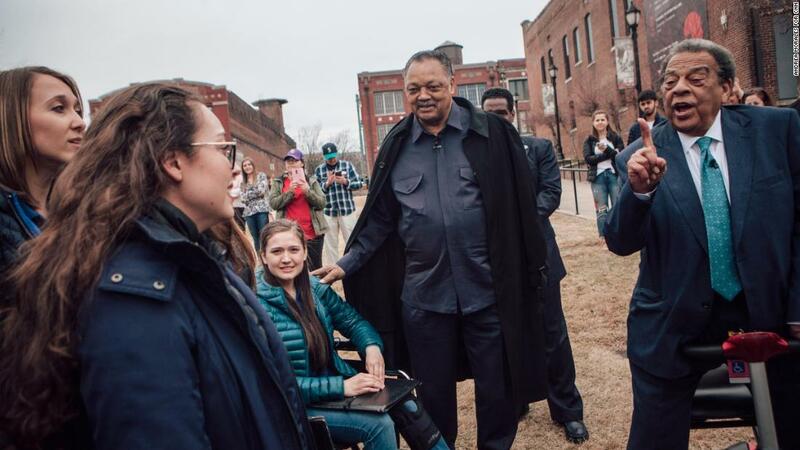 Bearing his avuncular smile, Young tools around on a scooter but jumps up to join Southern Adventist University’s traveling choir in “We Shall Overcome” and again to walk onto the Lorraine Motel balcony. Jackson is in the early stages of Parkinson’s. His booming voice — by which he championed “the desperate, the damned, the disinherited and the despised” — is now reduced to whispers, at times drowned out by blackbirds chirping from the teardrop birdhouses overhead. But the towering orator still commands a crowd. 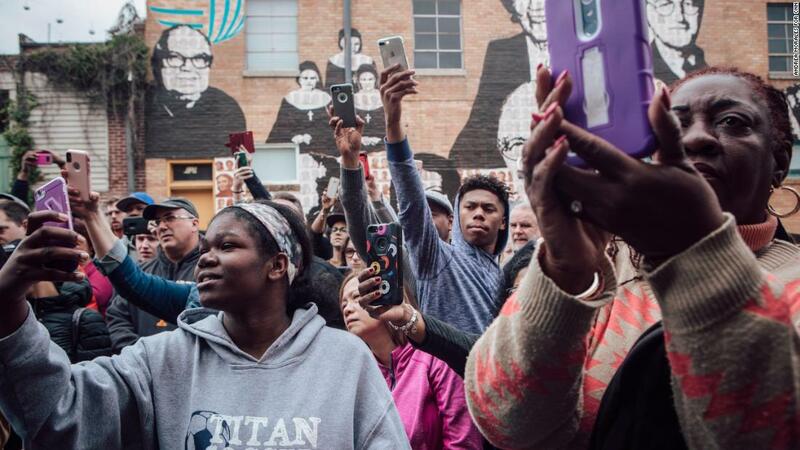 As he leaves the museum, he spontaneously leads 200 people in a call and response of self-affirmation. Jackson and Young say they have spotted King’s spirit, alive and well, across the world. Watching youngsters in the nation’s capital during the March For Our Lives rally, Young saw King’s hand at work and wept as he listened to their speeches. He ponders what might have been possible had he, Jackson and King been able to tap the power of social media back in the 1960s. How you die should never be as important as how you live, and how King lived is now “a frame of reference” for those fighting for freedom and justice all over the world, Jackson says. Looking back, King’s most trusted confidants say his death was but a temporary stoppage in the movement that still continues forward in his name. “It was the beginning. We were all very much in his shadow and proud to be, and he left us and sent us all out on our own,” Young says. About a year ago my 68 y/o uncle became a widower. Since then he has really taken to social media and cracks me up with his dry/sarcastic posts.